Dr. Liliam Nay, of Nay Dental Practice, is the premier choice for cosmetic dental procedures to improve both the appearance and function of teeth. The term “cosmetic dentistry” is a little misleading, as the procedures used in this specialty also have a functional purpose. Whitening the teeth is one of the few procedures that is strictly cosmetic. However, placing a crown over a broken tooth serves both cosmetic and functional purposes, as does placing an implant. Cosmetic procedures like crowns also protect against tooth decay and gum disease. Tooth whitening or bleaching is probably the cosmetic dental procedure with which most people are familiar. Placing a crown over a broken or decayed tooth or applying veneers are two other common cosmetic procedures. Although veneers don’t straighten the teeth the way braces do, they can cover crooked teeth and make them look straight. In addition, a dentist can contour misshapen teeth, close spaces and restore teeth that have become worn. Cosmetic dentistry also includes the repair of chipped teeth. All dentists receive a certain amount of training in cosmetic dentistry (such as tooth whitening) while in dental school. Most cosmetic dentists, however, go on for additional training after graduation to learn more complex and specialized procedure. Cosmetic dentists may also choose to become certified in the field. The patient should ask about training and experience, and of course, look for a dentist who can build rapport and answer any questions. Whether cosmetic procedures are covered depends on the insurance and the way the policy is written. A purely cosmetic procedure like a tooth whitening is less likely to be covered. When a procedure is functional as well ― like a dental bridge or implant ― insurance may cover it. Co-pays, of course, will still be the patient’s responsibility. 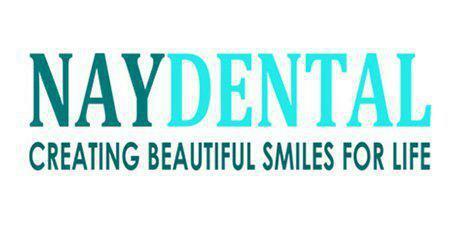 For those who don’t have dental insurance, payment plans or financing may be available.